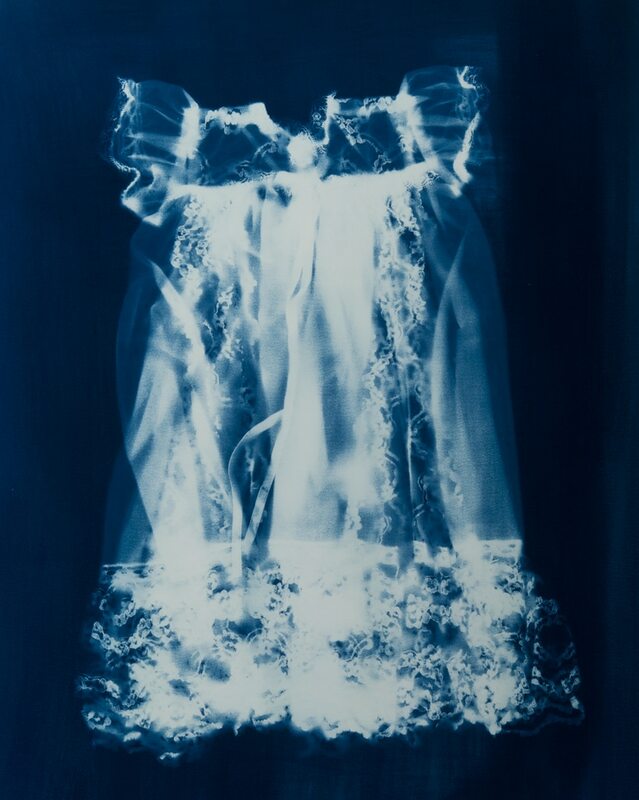 Cyanotype, invented by Sir John Herschel in 1842, is a photographic printing process that produces a cyan-blue print. Paper is sensitized using two chemicals: ammonium iron(III) citrate and potassium ferricyanide. 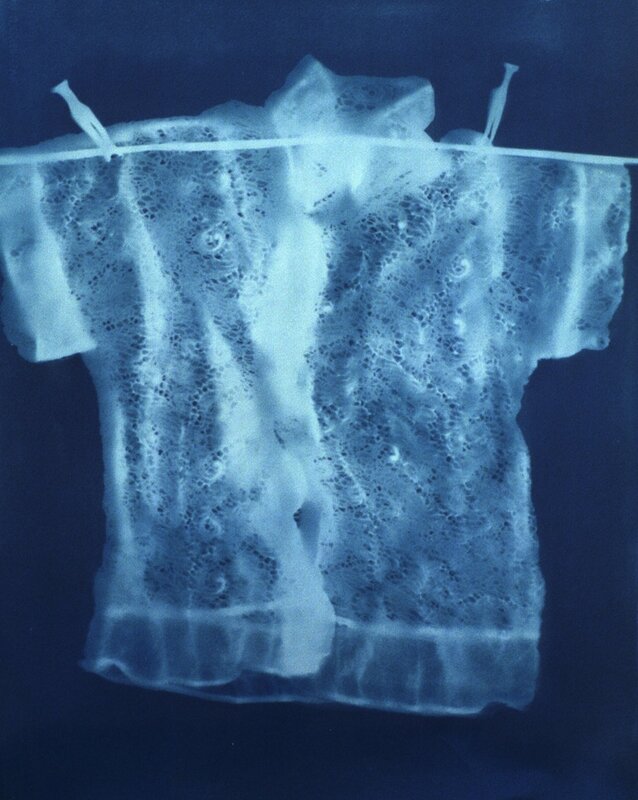 The paper is then sensitive to ultra violet light. 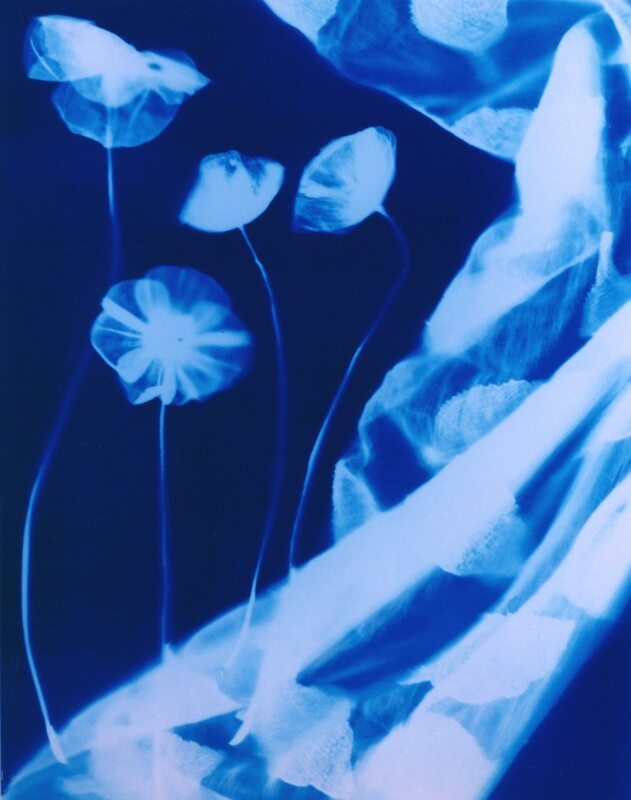 Objects are placed directly onto the sensitised paper, then exposed to ultra violet light [for me, the sun]. 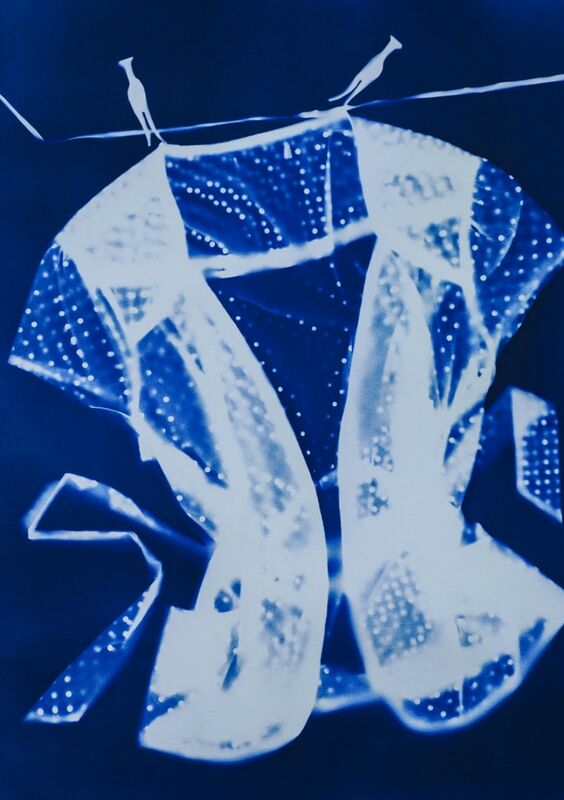 Exposures vary depending on the degree of transparency of the object. 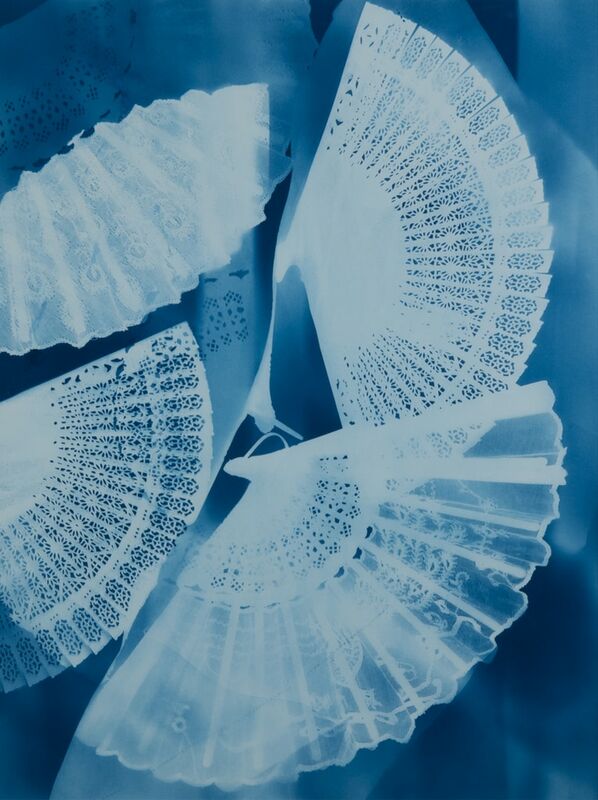 I was inspired by the beautiful work of pioneering photographer, Anna Atkins. 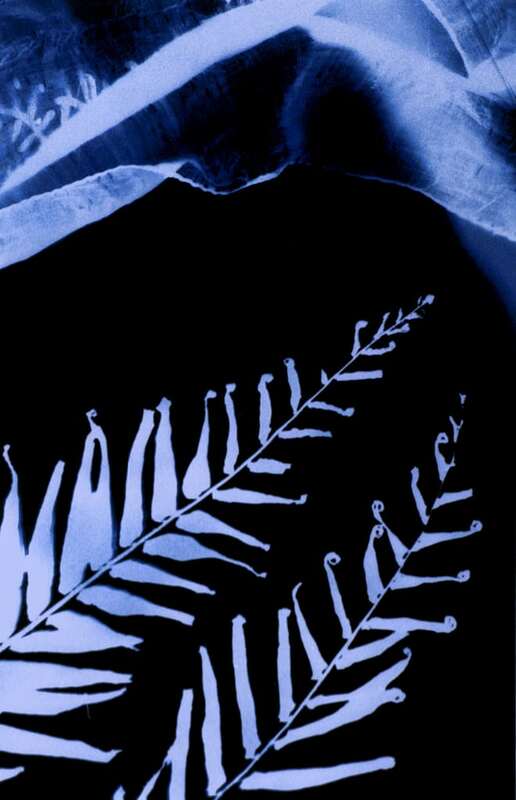 I have more cyanotypes in A Garden for Hazel.